Eric Hutchin was 17 when he joined the Royal Air Force to fight the Nazis in World War II. 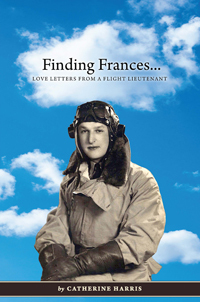 He trained as a fighter pilot at Falcon Field, a Hollywood-financed military base built in Mesa, in the Arizona desert, and there he fell in love with 17-year-old Frances Mackenzie. For the remainder of that savage war, Eric flew iconic Spitfires and Typhoons, protecting the shores of England, intercepting V-1 rockets, liberating Holland. And writing to Frances. Clever and poignant, his love letters, sketches and photos form the personal chronicle of one young flight lieutenant and his love for his special girl, but of course this is also a universal story — the coming-of-age tale of every young man who goes to war. Mike Dwyer served four years in the US Navy as a Signalman Second Class. After discharge, he returned to school at the University of Montana. He spent 30 years as a Social Worker for adults with developmentally disabilities. He is retired and living the good life in Missoula, Montana. It was an honor to serve in the United States Navy during the Vietnam War. It was the most rewarding period of my life. During that time I had many interesting, unique, funny, and sometimes scary experiences. These stories are some of my favorites from my four years as a Blue-Water Sailor. Yolanda Jones is the author of “Scarred, but not Broken”; former Sergeant in the United States Army/Army Reserves and a Survivor of Domestic Violence. Ms. Jones is an Advocate and an Activist for Victims of Domestic Violence; Victims of Military Sexual Trauma, and Victims of Discrimination. Ms. Jones currently holds a High Red Belt in Tae Kwon Do; an Associate’s and a Bachelor’s Degree in Criminal Justice and a Master’s Degree in Counseling and Development, upon which she obtained from Texas Woman’s University. Ms. Jones Hobbies includes, reading motivational materials, meditation, yoga, listening to the sounds of serenity, as well as the intricate instruments used in diverse music. Ms. Jones passion is, her love for riding one with the Road on the back of a Harley Davidson. Ms. Jones is a Native New Yorker, although she currently resides in Texas. 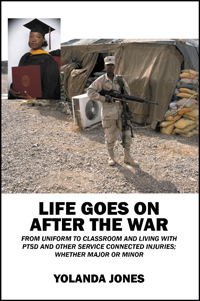 “For, my illness nor my injuries don’t define who I am, neither will I allow both to define who I will become, because who I become is who I choose to become, and not by societies label of PTSD or Service Connected Injury; Whether Major or Minor…. “Devil Dog Diary” is a first-person account of day-to day experiences during Marine Corps boot camp, detailing the physical and mental changes recruits undergo as they are molded into United States Marines. “Devil Dog Diary” the only first-person account of Marine boot camp written as it happened, will help potential recruits prepare for the challenges they will face during training. It’s indispensable for prospective Marines, current Marines, former Marines, as well as anyone interested in learning about the transformation the Marine Corps can make in a person. There are several boot camp manuals, but “Boot Camp Diary” is the ONLY first-person account of Marine boot camp written as it happened, by the recruit who lived it. “Boot Camp Diary” lets readers see and feel the transformation from boy to man to Marine. “Devil Dog Diary” is illustrated with dozens of photos of every aspect of Marine training. These are not staged publicity shots, they are actual photographs taken on the scene as events unfolded! 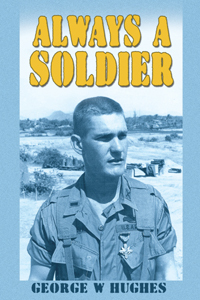 George W. Hughes spent 20 years in the U.S. Army, serving in the United States, Germany, France and Vietnam. He spent eight years in the Army Corps of Engineers and 12 years as an officer in the Army Infantry. While in the Army, Maj. Hughes earned a college degree in business administration from the University of Tampa. He is retired and enjoys spending time with his wife, grandchildren and military friends. He lives in Gahanna, Ohio. together, or disperse them and return enemy fire. Deanna S. Adamson was hooked on the accounts of little known Southern heroes when she happened upon the story of a young Confederate soldier who risked his life to take water to wounded Union soldiers on the battlefield. She spent months in the BYU Library researching The Other Side of the Lines. 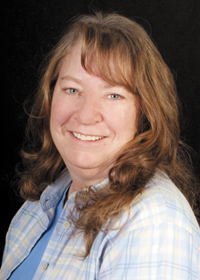 Deanna lives in Eagle Mountain, Utah, with her husband Robert. They have five children and 21 grandchildren. 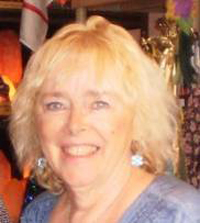 She has had many articles and stories for children and young adults published in several magazines. This is her first book. 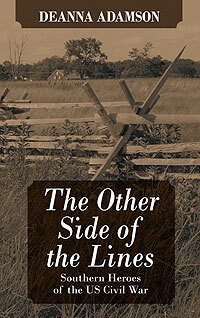 The Other Side of the Lines is about several lesser-known Southern heroes of the Civil War. Spend time in this book and read about Turner Ashby, the gallant Black Knight adored by Southern ladies. Find out how Belle Boyd, a daring teenager, used all her charms to spy for her beloved South in spite of being arrested and jailed several times. See how Richard Kirkland, a young Confederate sergeant, showed compassion for Union soldiers on the battlefield at the risk of his own life. Discover why Captain Sally Tompkins used her own fortune to open and run a hospital for wounded Confederate soldiers and was the only woman commissioned a Captain in the Confederate Army by President Jefferson Davis. Try to understand why Sam Davis, a courageous teenage boy, would rather be hung than give damaging information about his commander to the enemy. Sail with Lieutenant George Dixon, commander of the first submarine to sink an enemy ship in war. And follow the story of Moses Ezekiel, just a cadet in a military school when he was called into battle to help protect the South. Seven stories in all—seven views of the fearless people of the South as they fought for their way of life.